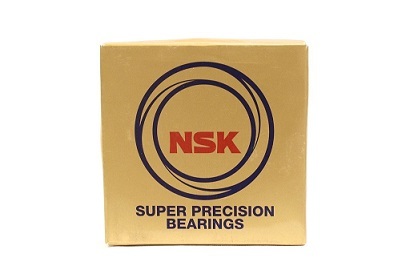 NSKTAC Series of Ball Screw Support Bearings for High-Load Applications Standard Series. High-capacity bearings used for supporting ball screws operating under High loads typically adopt large diameter steel balls in order to ensure sufficient high capacity and reduce the number of rows of combinations. With development and commercialization of the special bore diameter series, which has the same load rating as that of the standard series but with a smaller bore diameter, users can maintain equivalent high-capacity performance with a smaller diameter of screw shaft end without changing the number of rows. We sell the Major Japanese NSK, NACHI, NTN, Brands and European Brands FAG, Steyr, RHP Bearings. We can quote singles and pairs an straight radial. Send us a request for quote we think you will be satisfied with our price and availability. Contact us today !